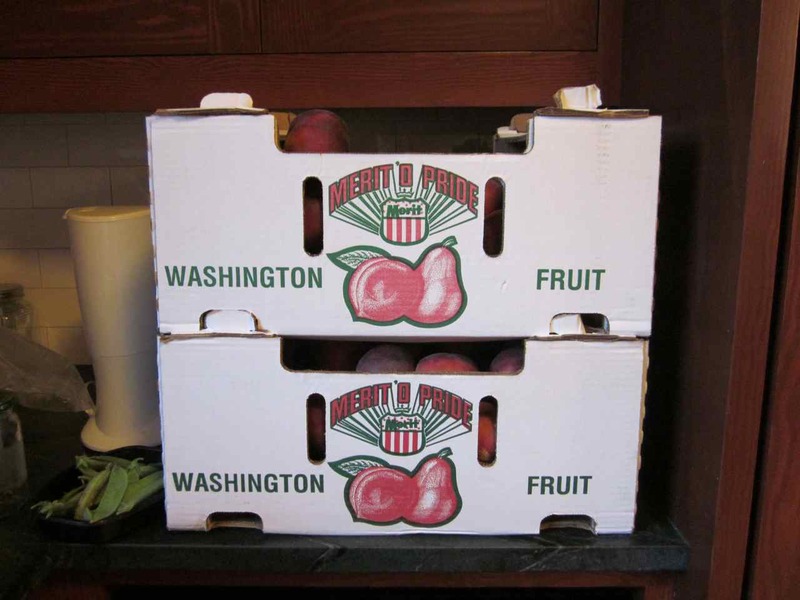 We found a good deal on peaches so we stocked up—54 pounds! They've taken a few days to get ripe, so we're spending part of today and tomorrow processing the fruit. Jeff is the foodie in this house, so he blogged about it over at his food blog. I am NOT loving these reusable jar lids. The rubber seals seem to be just slightly larger than the plastic lid so when you screw on the metal twist ring, sometimes it catches on the rubber ring and pulls it off the jar rim and ruins the seal. You can already tell the jar on the left side of the picture didn't seal (fruit isn't at the top). Sigh. I'm not sure if I'm doing something wrong. 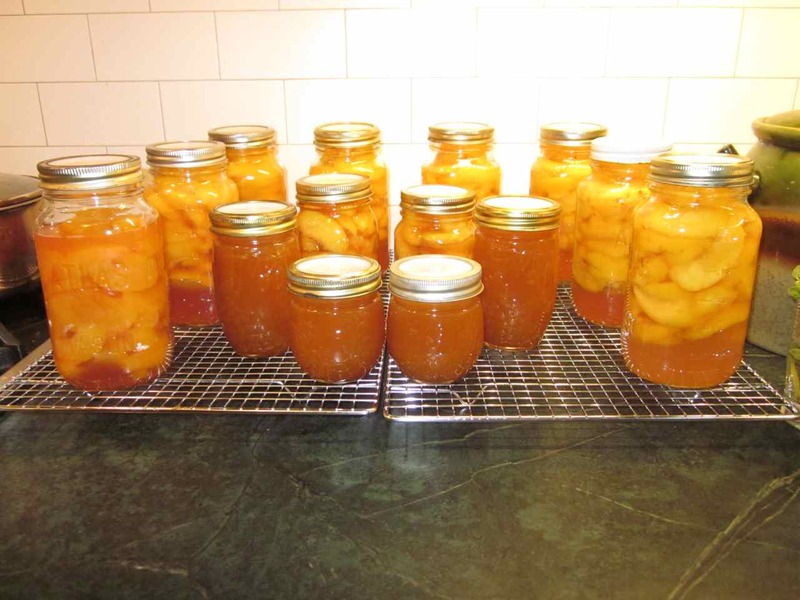 Losing a jar out of every batch is not going to be acceptable. 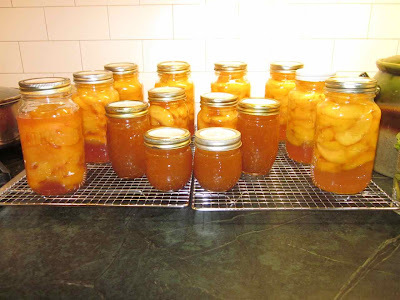 Anyway, our plan for this round is mostly to can peach slices, several pie fillings, a small amount of jam, and I think this year Jeff is going to try and make peach salsa. He's been buying peach salsa from Trader Joe's and we love it—we go through probably a jar a week—and we'd like to figure out how to make our own. Good for you! I was wonder how those reusable canning lids worked. Which brand are these? 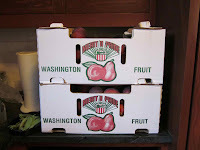 I was at the farm store today after church and was tempted to buy a load of peaches for preserves adn so on. But I know I'll never get to it, so I only got a quart (more like 2 quarts the way they were piled). When they get a little riper I'll eat some and slice and freeze the rest. They're made by Tattler, available from Lehmans.com. It will be nice not to waste the metal lid with every jar, but I'm not sure what I'm doing wrong trying to get them on the jars. I'm sure I'll eventually figure it out, I just haven't yet. That's the brand I've heard of. I'm sorry to hear they're not that easy to use. Your production looks beautiful, though.